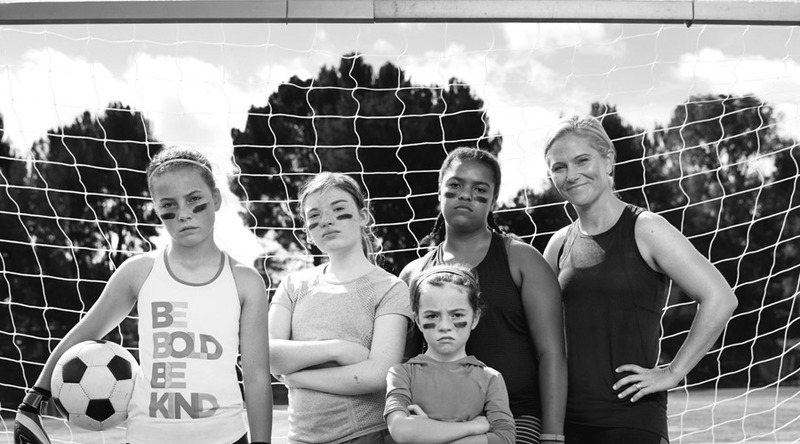 Athleta, performance apparel designed by women athletes, is starting 2017 with the launch of a Power of She campaign showcasing the power of women coming together to create social impact through a foundation of health and wellness. The new campaign builds on the Power of She platform the brand launched in April 2016, which was designed to bring to life the brand’s mission to ignite a community of active, confident women and girls to reach their potential. The centerpiece of the campaign is a collection of stories each highlighting one ‘power’ of Power of She – including positivity, potential, community and confidence. One highlighted story follows 98-year-old Tao Porchon-Lynch — the world’s oldest yoga instructor, whose philosophy is “there is nothing we cannot do if we harness the power within us.” She and Dr. Terri Kennedy collaborated on a book about Tao’s life, called “Dancing Light: The Spiritual Side of Being,” and travel the world together to inspire and impact the lives of women across the globe. Another story follows a trio of athletes who turned their passion for running into a way to support and bring awareness to maternal health for women around the world through Every Mother Counts (EMC). Each of the stories will be prominently featured in Athleta’s catalog, in its stores and across digital channels. The brand’s Chi Blog hosts the campaign content and Athleta has also added resources for women who are inspired by the campaign to get involved with the organizations featured. The brand will be hosting in-store events throughout the campaign to give women and girls the chance to showcase their Power of She. Additionally, Athleta is a member of #SeeHer, a movement to accurately portray all women and girls in media spearheaded by the Association of National Advertisers’ (ANA) Alliance for Family Entertainment.